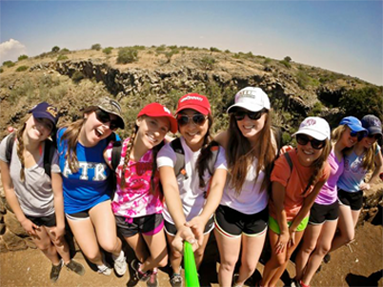 Shorashim has tons of ways for you to get involved in sharing the gift of a free adventure to Israel. Pay it forward by referring the people you know to travel on the experience of a lifetime. Learn how you can get involved in our recruiter program & about our variety of initiatives/opportunities that include your chance to earn great rewards or prizes, help spread the love by sending your friends, family, & other people in your network to Israel with Shorashim! We’re looking for dynamic, motivated people to help spread the word about Shorashim through their networks on campus & in your communities! From your longtime camp friends and sorority sisters/fraternity brothers, to your friends from intramurals, spin class, and work, we want to help you reach out to your network so that they can experience the adventure of a lifetime with us! Applicants should be hardworking, persistant, & be highly motivated with an engaging, friendly, fun, & enthusiastic personality & a passion for Israel. Marketing, recruitment, & engagement experience is a plus. Interested in joining the team? Sign up here & reach out to Lauren for next steps. Please note that in order to receive payment, you must recruit at least three people in any given season. You can log in here! Remember, tell your friends to choose your name from the dropdown menu in order to be counted towards your final number. Payment for recruitment for our summer trips will be received by September 1st & our winter trips by February 1st . Check out the rules & regulations for our recruiting program.